The Golftini Short Sleeve Ruffle polo looks great no matter the occasion. A perfect blend of athletic and classy, the princess seams create a great silhouette while the natural fibers contain just enough stretch to allow for the perfect swing and have it still look good after the round. 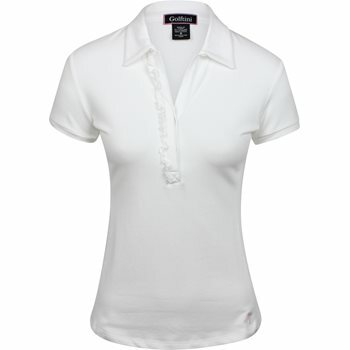 Features a hidden, two-button placket.